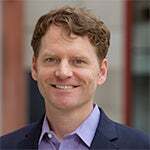 Joe Magee is an Associate Professor of Management and Organizations at NYU Stern. He comments on issues of power in society. Detroit Free Press, "In Trump's Campaign of Misogyny, Women Take Back Power"